It’s always nice to receive a birthday dinner invite to a restaurant that I have never been to. Besides the obvious pleasure of sharing drinks and food with close friends, there’s usually an opportunity to order, taste and solicit opinions about, many different desserts. The key difference between a typical dinner out with friends and a “birthday dinner” is the license to order lots of desserts–everybody knows you eat desserts with celebrations. Only a major Debbie-downer declines a dessert order on a birthday. I’ll start by saying that all four desserts from Ze Cafe were really superb and standouts in their respective categories. The most unique and masterfully executed dessert of the night was the Crabapple souffle. 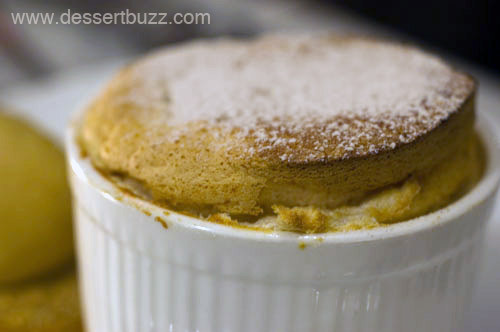 The tart apple flavor gave the light souffle a nice strong flavor punch. I probably could have eaten a few of these and not felt full. As you can see from the picture, the souffle was baked to perfection. The Cran-apple streusel pie was also baked nicely. The tart cranberries and sweet baked apples were soft and flavorful. They sat in a pie crust and underneath a nicely browned crumble topping. 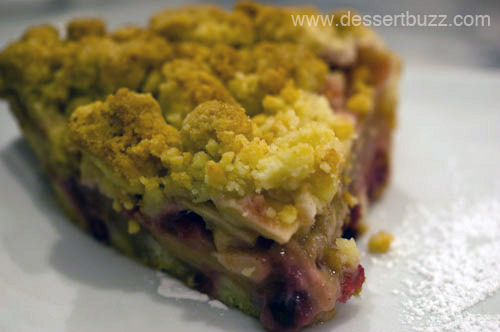 This pie wasn’t too sweet and featured spices that brought out the flavor of the apples and cranberries. 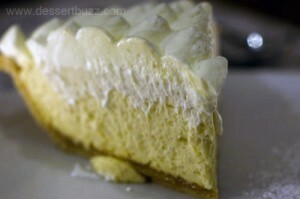 The banana cream pie may have been the crowd favorite. Banana cream pie is the kind of dessert many New Yorkers only try in a situation like this. It just isn’t on that many menus and when it is, there’s probably also a chocolate cake which will win out ever time. Imagine a 3-star pastry chef creating a banana pudding and then blending it perfectly into a ultra-moist cake with the consistency of a freshly made buttermilk pancake. The whole group enjoyed this pie. The maple honey cake with spiced cream fraiche was the closest thing to a “normal” dessert we ate that night. It too was executed with perfection as if it was being made for the wedding of Vito Corleone’s daughter. 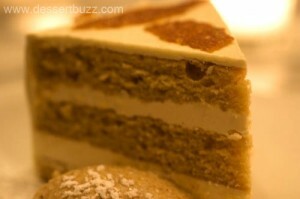 The maple and spice flavors were pronounced and the cake layers were very dense. This dessert reminded me of a carrot cake without all the nuts and shreds of carrots and other stuff floating around. I have to mention something about the unique restaurant space. The dining room is very relaxing. It features exposed, unpainted brick and a huge flower sculpture in the middle. The space definitely takes you out of New York. 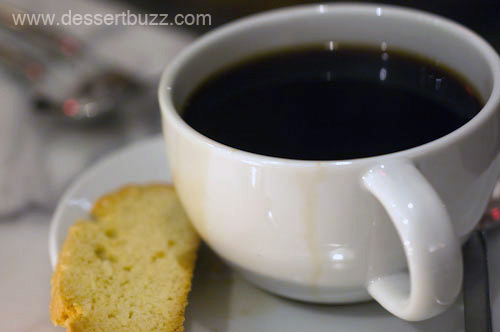 Ze Cafe: 398 East 52nd Street. Ze’s website is here. I love Ze Cafe, was there twice on my last trip to NYC a few weeks ago. Love your website!